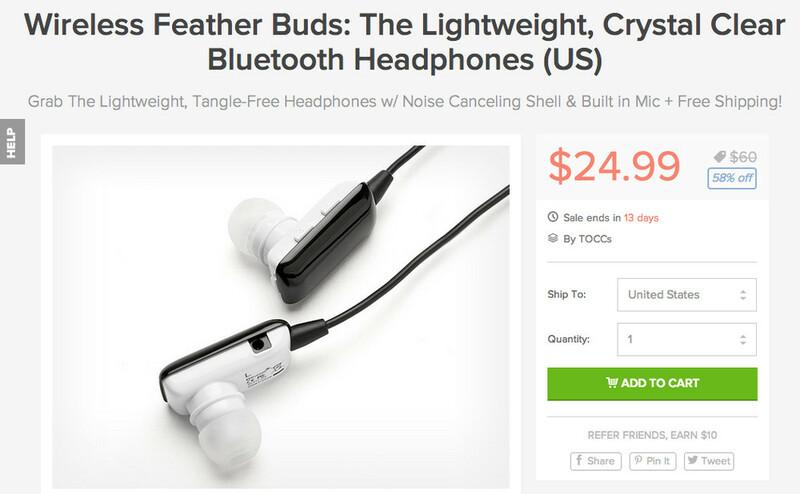 If it escaped your attention the first time around, you still have a few days to grab the Feather Buds wireless earbuds through our DL Deals shop for just $25. Usually, a nice set of Bluetooth wireless earbuds can easily run over $100, and with this deal taking a solid 58% off the full retail for the Feathers, this deal might suit your budget a bit better. The earbuds feature a “noise canceling outer shell,” are tangle-free, and feature “crystal clear” sound at a range of up to 30 feet. They also have a built-in microphone, so you can take calls at any time. Again, if you want to see if Bluetooth earbuds are for you, but don’t want to spend a ton of cash, this isn’t a bad option to consider.